Soufflé pancakes have been a popular food trend in Japan and throughout Asia for many years. While they can be trickier to make than traditional pancakes, their fluffy airy texture is well worth the additional effort. These whip up easily and are sure to charm your family and friends. We love to serve these with a side of whipped honey butter or freshly made whipped cream (both recipes included below) , a sprinkling of powdered sugar, and side of ripe seasonal fruits. Looking at a stack of chubby pancakes brings us such joy, so please be sure to tag us when you make these #artandarticle. Enjoy! Before you begin it’s important to determine the correct heat setting on your range. To determine this, place a large non-stick pan (with lid) on your stove and lightly grease with a flavorless vegetable oil. Turn your range to it’s lowest heat setting and after a few minutes place a drop of water on the pan. It should gently sizzle. If it does not sizzle on your lowest setting, turn it up a notch or two. You’ll want to keep the temperature low but enough to lightly brown and steam your pancakes. Once you’ve determined the right setting, place the lid on the pan and leave it over the heat as your prepare your batter. For the batter, combine egg yolks and 2 teaspoons sugar in a large bowl. Whisk by hand until the color of the yolks lighten and mixture slightly thickens. add milk, vegetable oil, vanilla and salt and whisk until well incorporated (about 1 minute). Then add all-purpose flour, baking powder and salt and whisk until batter thickens and appears sticky (about 1 minute). Place aside. In a large bowl or stand mixer, whisk egg whites and cream of tartar/lemon juice at low speed until frothy. Increase whisk speed to medium and add half the granulated sugar until well incorporated, then add the rest. Once all the sugar is well blended and the mixture has thickened, increase the speed to high until stiff peaks form. You have now completed your meringue. Using your whisk, gently mix 1/4 of meringue into your batter until well incorporated. Then add remainder of meringue and fold very gently until combined. Do not over fold, you want to retain the original stiffness of meringue. You are now ready to fry and steam your pancakes! Using a spoon, place a couple large dollops of your desired pancake size on your preheated pan. The batter should retain it’s shape as you do this and not flatten out. Place two teaspoons of water in your pan, not touching pancakes, then place lid over pan and allow to steam for 2-3 minutes. If you’d like a taller pancake, you can now add more batter to the top. Once the bottoms have browned, gently flip, add two more teaspoons of water, and let steam for 2-3 additional minutes, then serve! 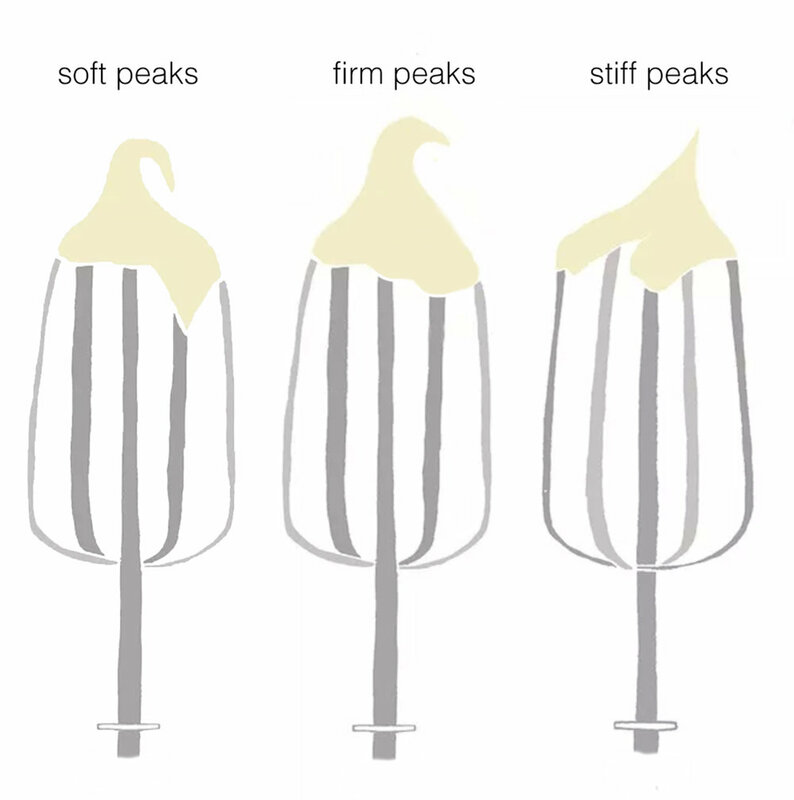 For honey butter or whipped cream, simply whisk ingredients together until you achieve your desired fluffy texture.